We're glad you stopped in today and hope you'll come back often! 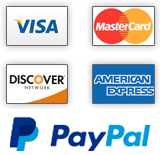 We're adding new items to the website daily! 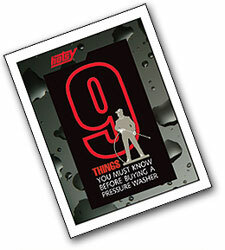 We're proud to be a Hotsy Distributor, and we want you to know that "Nothing Cleans Like a Hotsy! "9 Things You Must Know Before Buying a Pressure Washer" will give you some important tips on what to look for when considering a Pressure Washer for home, office or a new business that you are starting. If you want a FREE copy of this download brochure, click on the photo above, select the brochure from our online catalog, and proceed to checkout. 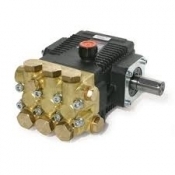 We have the product you need. Just let us know what you will be cleaning and we can help you out. 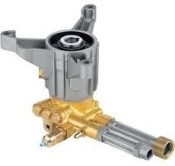 Cold Water Pressure Washer 3.5 GPM @ 3500 PSI GX270 Honda - Call for lower pricing!! 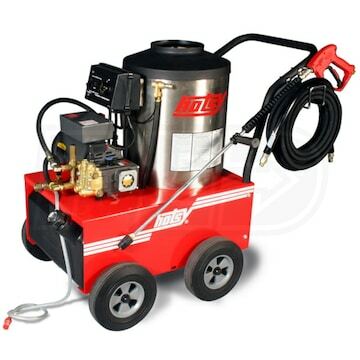 Cold Water Pressure Washer 4 GPM @ 4000 PSI GX390 Honda - Call for lower pricing!!! 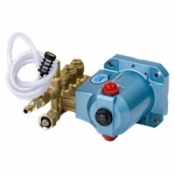 Cold Water Pressure Washer 3 GPM @ 2700 PSI GX200 Honda - Call for lower pricing! 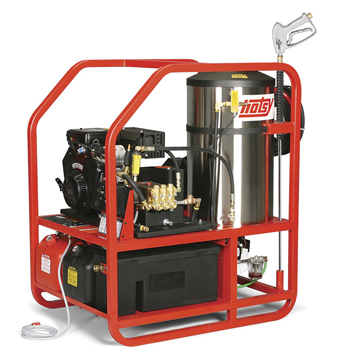 Exceptional quality, high reliability and advanced features make Hotsy the industry's first choice in hot-water pressure washers. 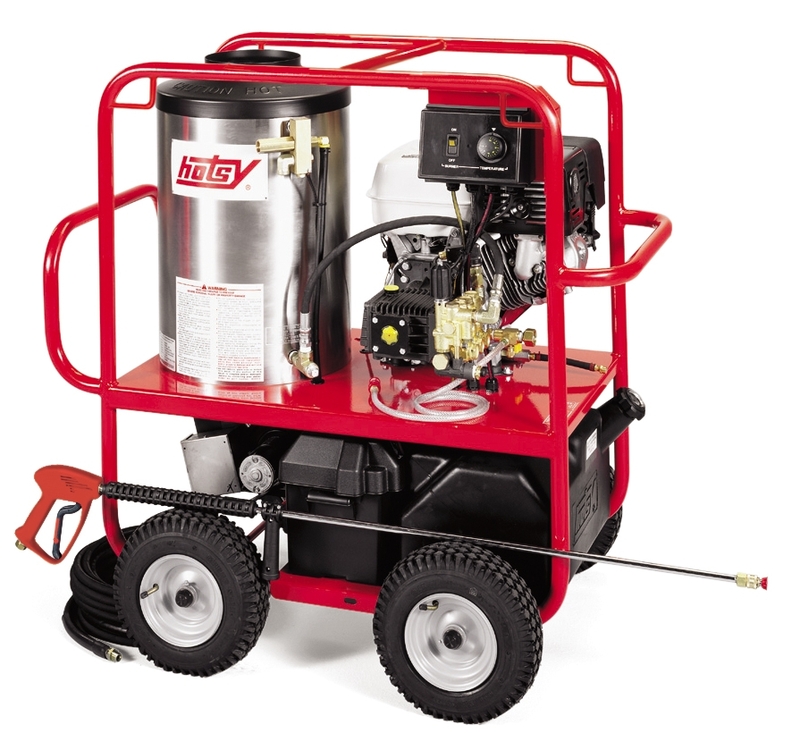 One look at Hotsy Hot-Water Pressure Washers tells you these are rugged, industrial-grade machines designed to give long life, high productivity and superior cleaning power. 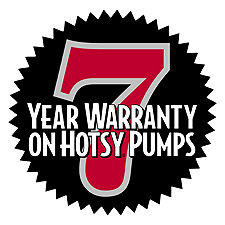 As an industry leader and integrated manufacturer of pressure washers, Hotsy builds its own pumps, gun jets, valves and other key components critical to the long life and smooth operation of a Hotsy pressure washer. 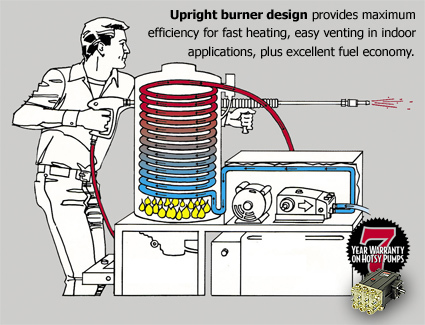 After examining Hotsy's rugged designs and unique features, your customers will be convinced that a Hotsy Hot-Water Pressure Washer is the right machine for the job. 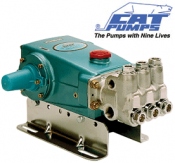 AAA Pump, Aaladin, Alkota, All American Pressure Washers, AR North America, BE Pressure Supply, Briggs & Straton, Cascade Engineering, Inc., Cat Pumps, Comet Pump, Delco Cleaning Systems, Epps, Farleys, Inc., FNA Group, General Pump, General Jetter, Giant Pump, Hawk Pumps, Honda Engine, Hotsy, Hydro Engineering, Inc, Hydro Tek Systems, Karcher, Landa, Mi-T-M Corporation, MTM Hydro, Nilfisk-Alto Cleaning Systems, NLB Corp, Pressure-Pro, Inc., PSC Cleaning Systems, PSI, Rapid Reel, Shark, Sioux Corporation, Spraymart, Steam Jenny, Steel Eagle, Inc., Suttner America Corp., Tuff, Water Maze Water Treatment, Whisper Wash, Whitco Cleaning Systems. Our service rate is $ 85.00 per hour. All rentals are for 24 hours. Weekend rentals are a 2 day rental. Pick up and Drop off hours are 8:00am - 4:00pm. Call for weekly and monthly rates. 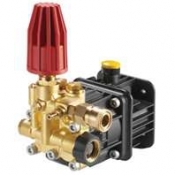 A surface cleaner attaches to a hot water pressure washer or cold water pressure washer and can be used on virtually any flat surface to dramatically reduce cleaning time. Surface cleaners are the ideal pressure washer accessory for driveways, parking lots, garage floors, tennis courts, decks, or just about any other flat surface. Most surface cleaners resemble a floor sweeper or lawn mower, depending on the make and model. 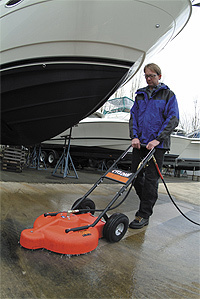 They allow the user to "mow" a straight path, rather than the sweeping back and forth motion typically used when cleaning with a pressure washer wand. For effortless work and visibly greater cleanliness, consider a surface cleaner like the Hotsy Cyclone...it saves time and eliminates user fatigue.